Convenience stores are just that, convenient. Whether it's buying used video games or pre-ordering big titles, today's corner stores offer more than slushies and candy bars. One Japanese chain is considering one deader better. Family Mart, which expanded to the U.S. as "Famima", is pondering whether it should enter the funeral business, reports J-Cast (via Japan Trends). 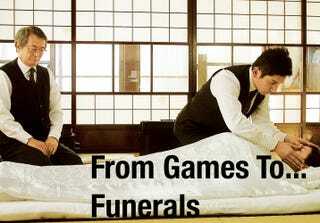 The average funeral costs around US$11,000 in Japan. Convenient stores would make it possible for families to easily (and quickly) arrange services. Suburban retail giant Aeon (think Target or Walmart) introduced a funeral service last year with prices that start at around $3,500 and climb to over $17,000. 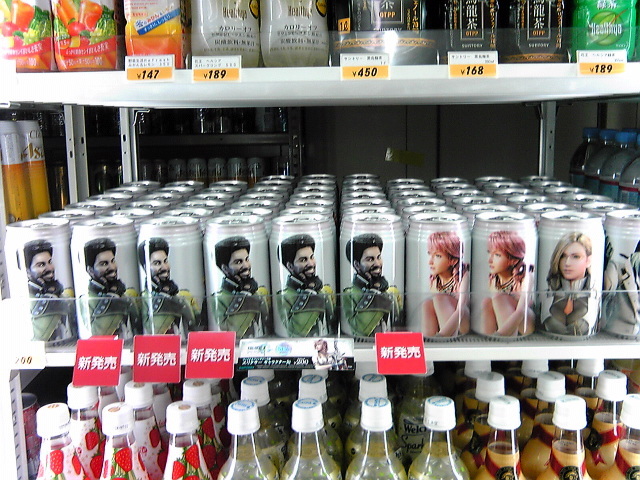 Japanese convenience stores aren't simply special for their Neon Genesis Evangelion snacks and already offer consumers a wide array of services that go beyond fax machines and payphones. Consumers can drop letters in a Japan post mailbox, buy concert tickets, pay their bills (gas, electronic, phone), buy cell phones, return rented DVDs, send packages, buy special Japanese New Years food that can cost $100 (and up) and more. Thus, the convenience store, or "conbini" as it's called, is viewed a something that truly lives up its name and makes people's lives easier. Today's conbini is closer to a general store of old than its modern-day American counterpart. With the population continuing to gray and those dying outnumbering those being born, adding the ability to arrange a funeral service not only seems convenient, but in Japan, as natural as buying a canned coffee or the latest hit PS3 game.